They were a lot of fun to make and easy to batch out. Watch the video to see how! Recreate this project using the themes you like and the products you have but if you need a large quantity of really useful tags be sure to visit our sponsor Papermart! They have lots of other goodies too! Now it’s time for me to brew another pot of tea and try to steam away my head cold! Thanks for stopping by and til next time happy crafting! Take out boxes *Also available in white and colors! Paint take out boxes with chalk paint (or use colored boxes also available at Papermart) and let dry. Fold a doily in half and cut out the center. Secure the doily ring around the box with washi tape. Make a washi tape flag by adhering it to half of a paper straw and insert into the side flap of the box. That project did put me in a better mood but I tell what, come Monday that groundhog better see his shadow! Thanks for stopping by and til next time happy crafting! Hi friends! Wanna know a secret? I have always loved wrapping presents. I am kind of afraid to admit this because I fear that all my friends will drop off their gifts to be wrapped. The trouble is that this time of year I don’t have as much time to put into the wrappings. Well, that is until now. I came up with some cute and clever ideas using inexpensive supplies from Papermart! You probably have some of these things around your house too so I urge you to try some of these ideas today! I hope you try some plain kraft paper for gift wrapping, it even comes in white. There are so many other options for embellishing it and you can make it for any occasion. 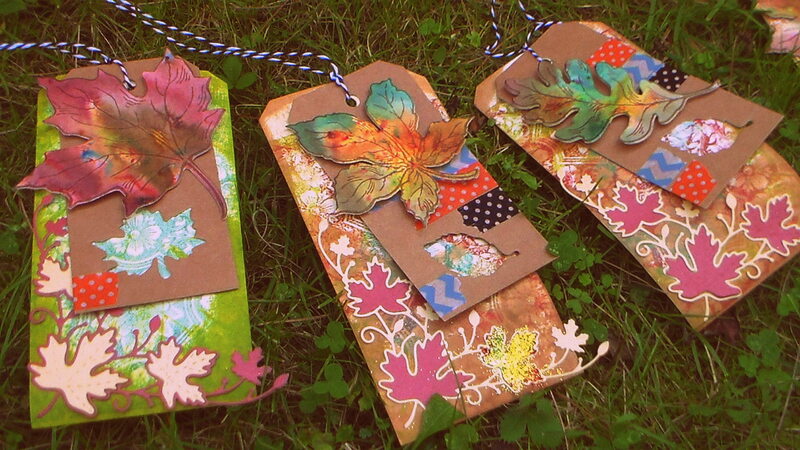 You can try stencils and stamps, you can wrap it with party streamers, the sky’s the limit! There are so many options! I hope you enjoyed today’s ideas and that it inspires you to get creative with your gift wrapping. Also, If I know you in real life I DO NOT want you dropping off gifts on my doorstep to be wrapped but you are more than welcome to use my gift warp area and supplies! If you liked this idea and want to share it there are handy buttons below to share this on Pinterest, Facebook and Twitter as well as other fine places. I do appreciate each and every share! Thanks so much for stopping by and til next time happy crafting! Christmas Card Batch in a Flash & Giveaway! Hi Friends! Every year I make a lot of Christmas cards and I have to organize my supplies or the cards will never get done. This year I used divided bento style containers from EasyLunchboxes to organize my supplies for assembly line card crafting. Do you want your very own set of 4 lunch boxes and cooler bag? Well, of course you can buy them directly from EasyLunchboxes they even offer free and reduced shipping though their Amazon store (they are the #1 best-selling lunchbox on Amazon BTW) for US and Canadian residents OR you can win them! To win you need to have a peek here in their shop, then come back here and leave a comment telling me something you like about their products. That’s it, pretty easy huh? I will select a winner at random December 12th. This giveaway is open to US residents. I want to thank EasyLunchboxes for sponsoring this giveaway. Their products are sturdy, durable and BPA free so you can feel good about storing your food in them too! They would also make a nice Christmas gift! I want to thank you for stopping by and til next time happy crafting! Hi friends! Show of hands, how many of you hoard your washi tape? Well, don’t worry, today’s project will not only help you store it but use it too! My precious (said in best Sméagol voice) washi tapes are showcased in all their beauty and are ready to use at a moments notice. I am using the brand new washi tape from Papermart today, it is only $1.34 for 10 yards so you don’t have to hoard it (OK, buy two rolls of each design and hoard one if you must.) This project is great for me because I also hoard boxes…anyone else? Watch the video and see how it’s done! You can also use this idea to make divided boxes for other arts and craft supplies like beads, pencils, markers or embellishments. You can make it match your style and personality! Cover all sides of the box with scrapbook paper. Cut a piece of paper the same width of your box but 3″ longer. Fold up a section to make a divider so your tape can be held snug in the box. Add a label on the top or side of your box so you will always know what is inside! If you like this idea be sure to pin it for later and share it with your friends (there are handy buttons below for sharing!) Thanks for stopping by and til next time happy crafting!